Meet the 2017 Korean Pavilion. Everyone, meet Winnipeg-based photographer and vlogger Christian Narciso! We did a collaboration so all photos are from Christian. Also, this means….VLOG TIME! For the first time, JudiMeetsWorld has a vlog component thanks to Christian and his company Viewsual Media! Make sure to check out Christian’s vlogs too! Watch out for us on Wednesday as we do another round of Pavilion hopping! So, as you’ll see in the vlog below, I learned that Korea was actually divided into three regions historically. There are also lots of snacks for purchase at their souvenir shop in the main hallway (not in the food area inside the show)! You can also get your name written in calligraphy. Bulgogi (barbecued beef) and jap chae (glass noodle dish) are the popular menu choices here, and you also must try the kimchi (pickled vegetables). Also tyr their kimbab, which is the Korean take on sushi. 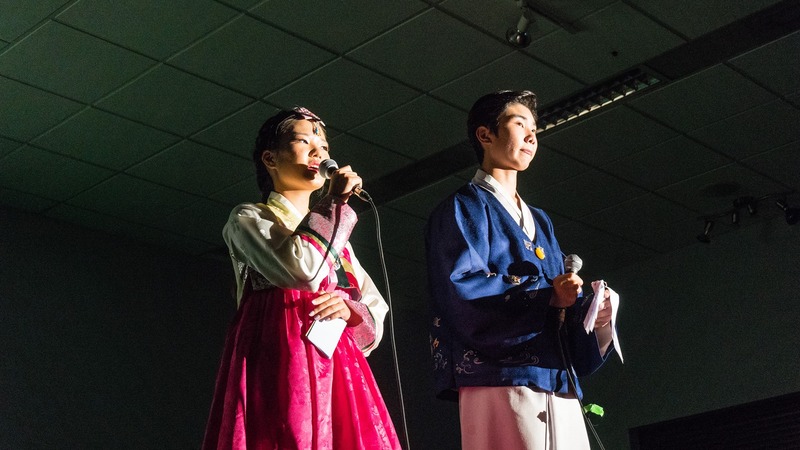 The two emcees taught us some basics of the Korean language and helped explain more about the very popular KPop music out of Korea. The first set was actually a group performing to a medly of KPop music. I appreciated the modern take on Korean culture – it was pretty refreshing and new to see. We also saw the traditional fan dance. The show ended with a Tae Kwon Do demonstration which was so exciting. The crowd really encouraged the martial arts group, especially its youngest members, as they chopped and kicked their way through wooden blocks! Folklorama is all about sharing culture and traditions with others in ways that are inviting, respectful and educational. There is a multicultural presence at this pavilion, and you can see people of different ethnicities participating on stage in both the KPop and the Tae Kwon Do. This is a real testament that Korean culture has crossed borders and has made its mark globally! Thank you again to Christian of Viewsual Media for exploring three cultures with me in one day! 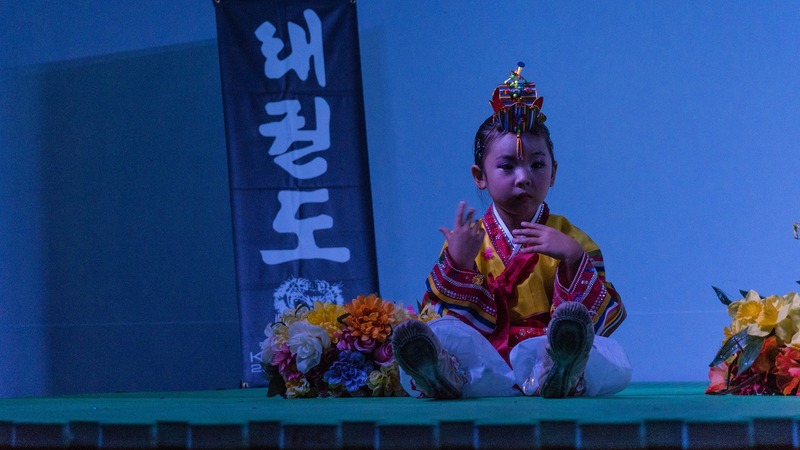 Congratulations to the Korean Pavilion for another year in the books! Meet the 2017 India Pavilion.